Hendo from Brewcult has finally reprised his much acclaimed 2013 GABS offering; Acid Freaks. It's a Baltic Porter brewed with Balsamic Vinegar, made by Hendo's own brother. I didn't much care for it back then, but my palate has changed a lot since then. By now I hope all of you know what the Heavy Weight badge is by now. For those of you who are new to my blog or Untappd, or have been living under a rock for the last few years; it's for drinking dark beers, think Stouts and Porters. 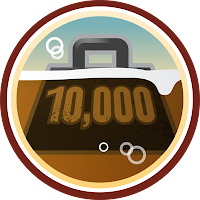 This is Level 40, so that means I've had 200 distinct ones since my Untappd journey began. 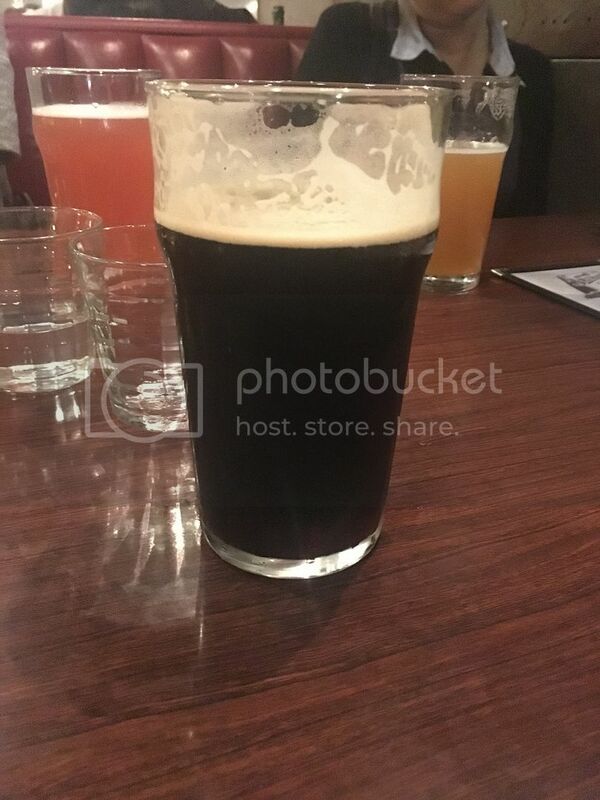 The beer pours a very dark brown colour with a beige coloured head. The head was creamy in appearance and a couple of fingers high when first poured, quite an impressive head for a bar, and accordingly lasted quite a while. Accompanying the good retention, was a reasonable web of lacing, again something that is hard to achieve in a nonic pint glass. It's an appealing looking beer. Clearly my palate has changed; I've gone from not liking this to thinking it's excellent in 3 years. The vinegar is the first thing you taste, but it is far more restrained than the nose indicated. It pairs beautifully with the roasty characters, while chocolate, oak and dark fruit flavours add complexity. Acid Freaks is still not a beer I'm going to drink everyday; I don't think it would be that beer for anybody! What it is, is a really intriguing, complex beer. It showcases the balsamic vinegar as well as I feel any beer could, it's not exactly an ingredient you'd think to put in beer. If you are after something a bit different, you could go far worse than this creation from Brewcult. I had a 2013 acid freak at GABS last year. One of the last remaining bottles. Preferred it much more than the newer release. Seems cellaring for two years may be the way to go. I can imagine mellowing improved it heaps, that 2013 was overpowering.